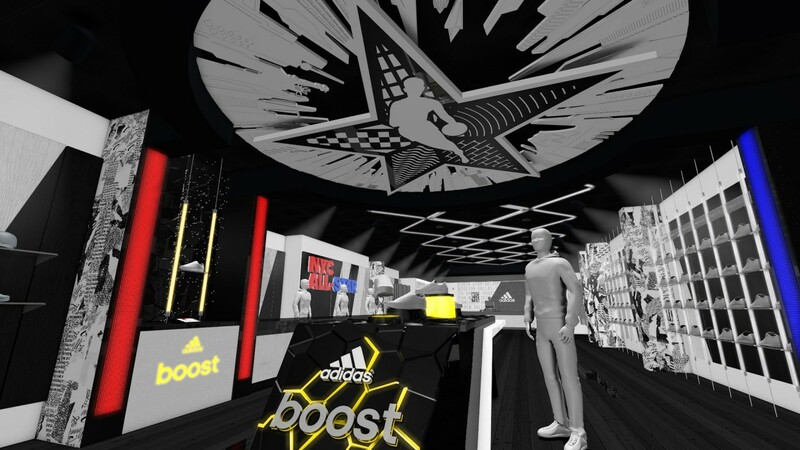 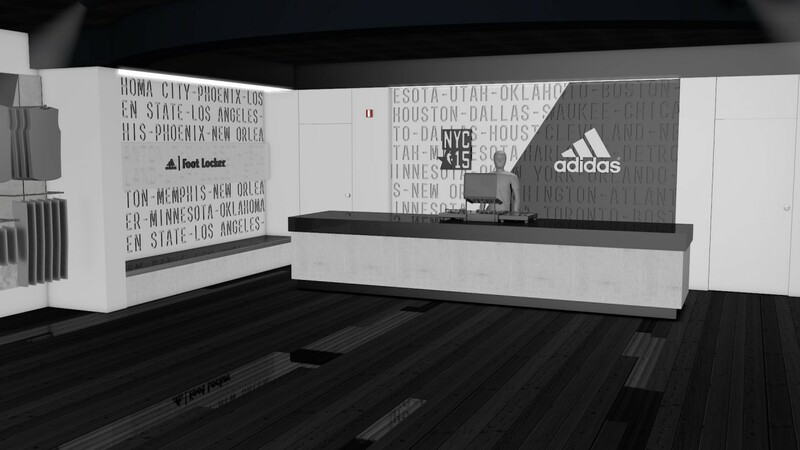 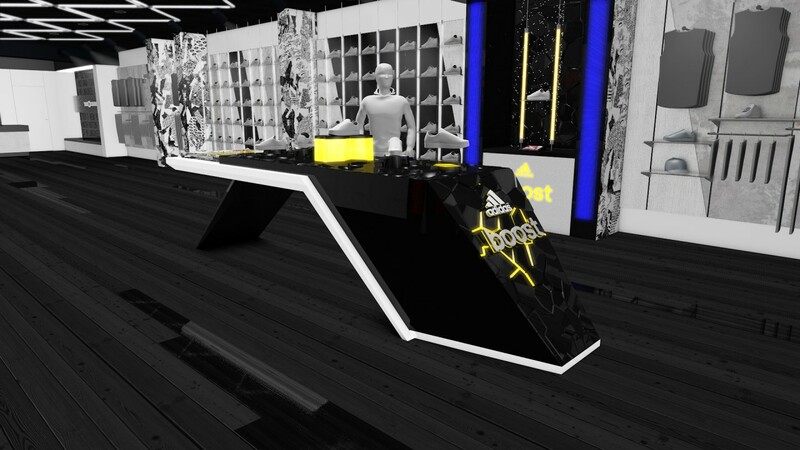 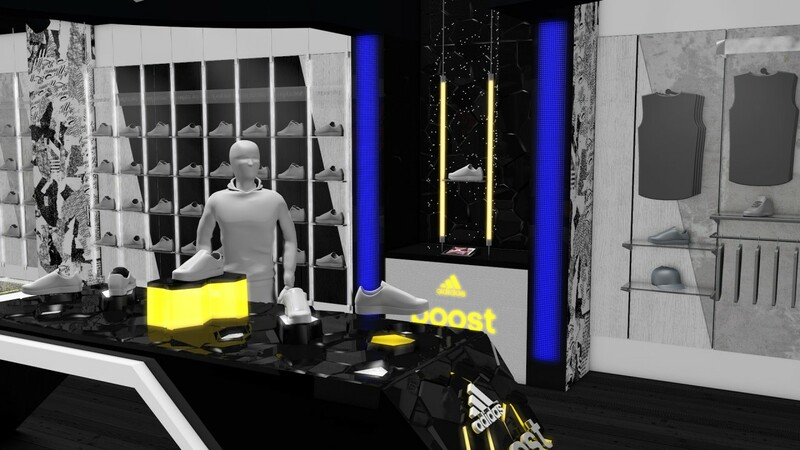 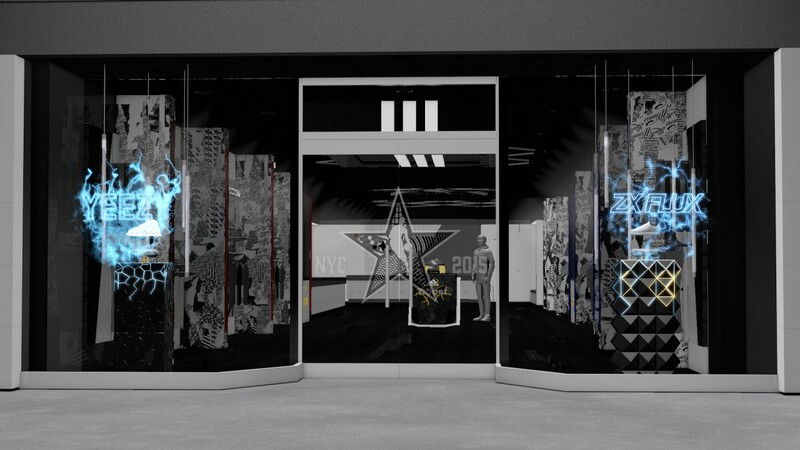 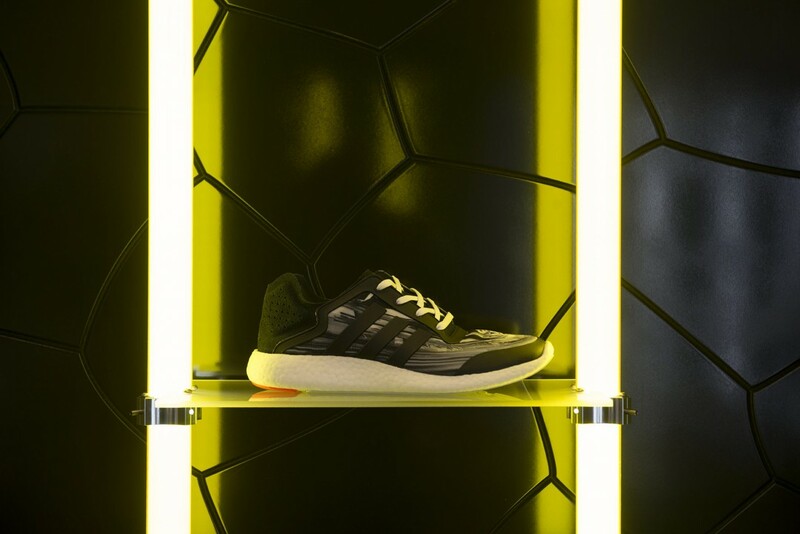 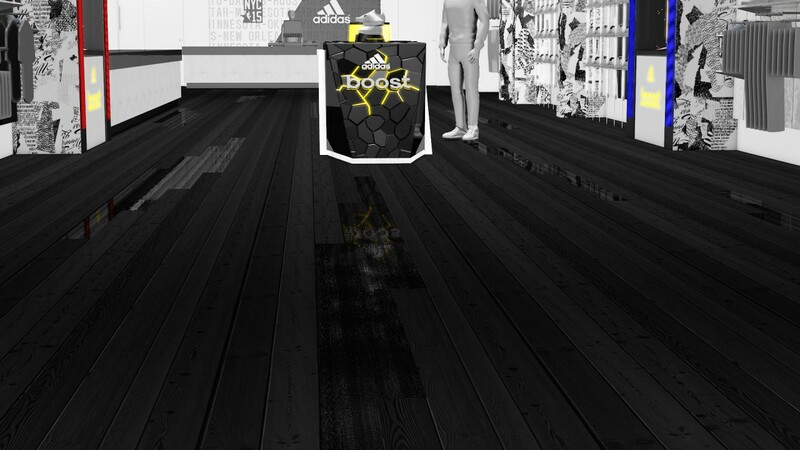 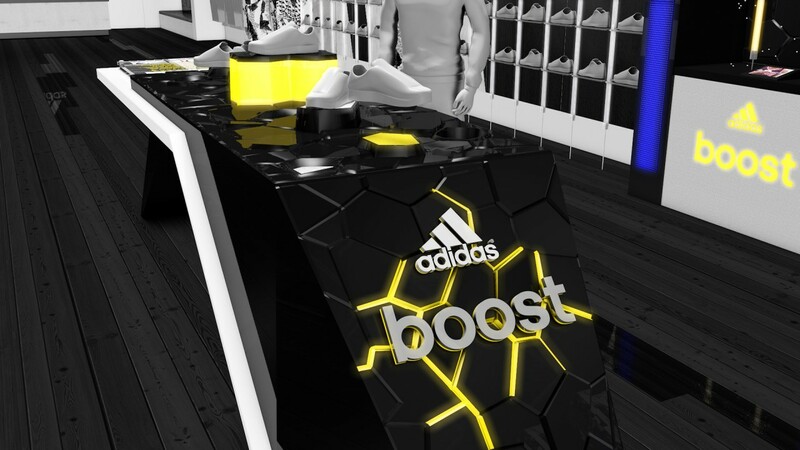 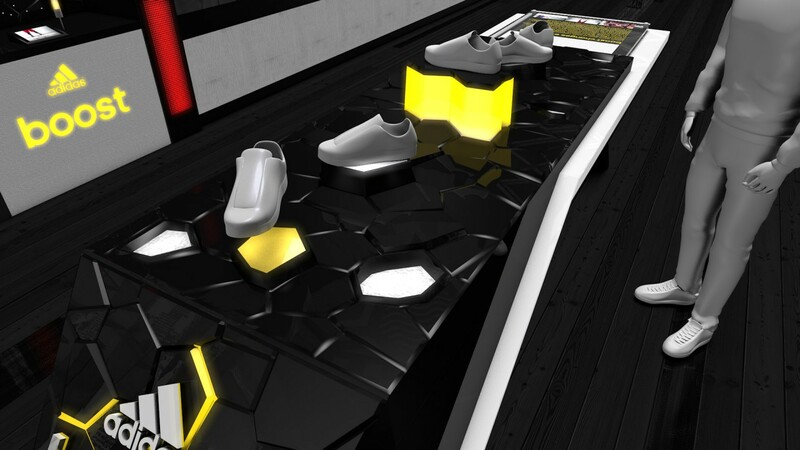 For the 2015 All Start Weekend, we tasked to transform a space into a pop-ip shop for adidas x Kanye Yeezy boost shoe launch. 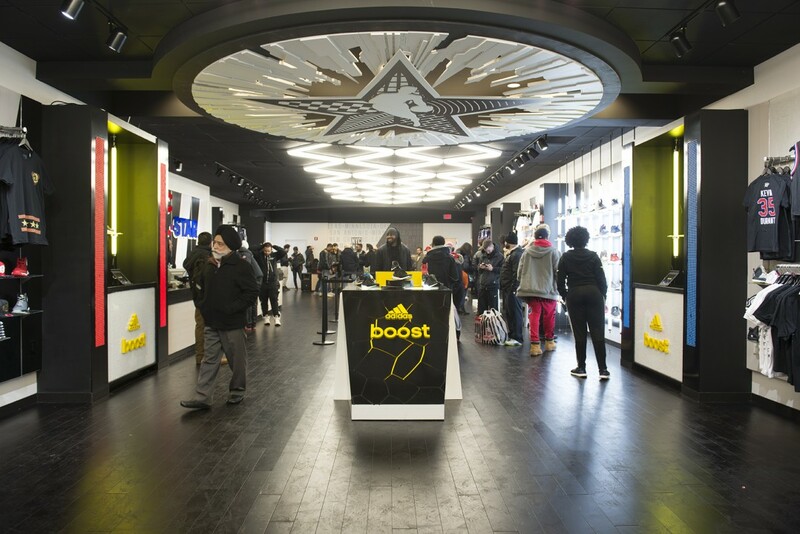 The store was located on Fulton St. in Brooklyn, NY. 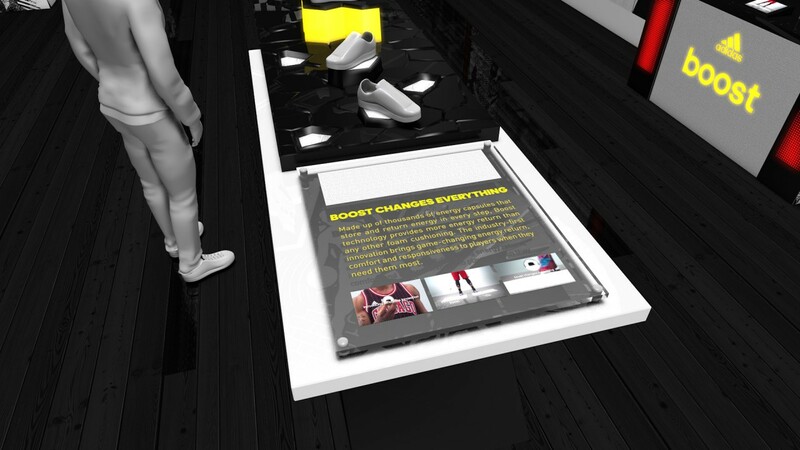 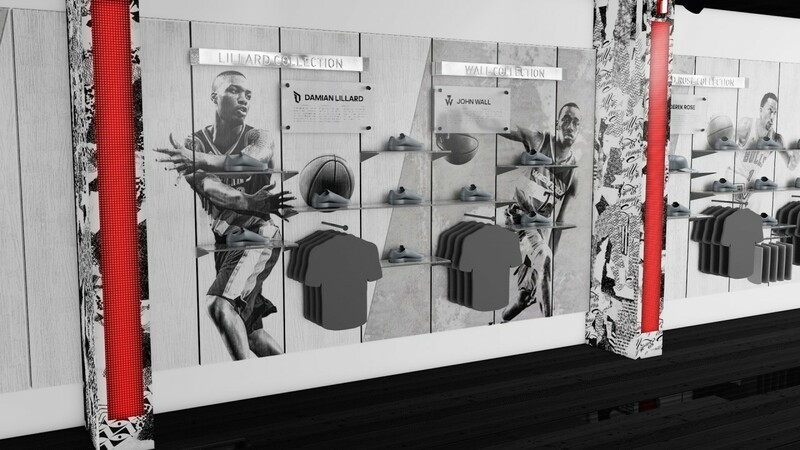 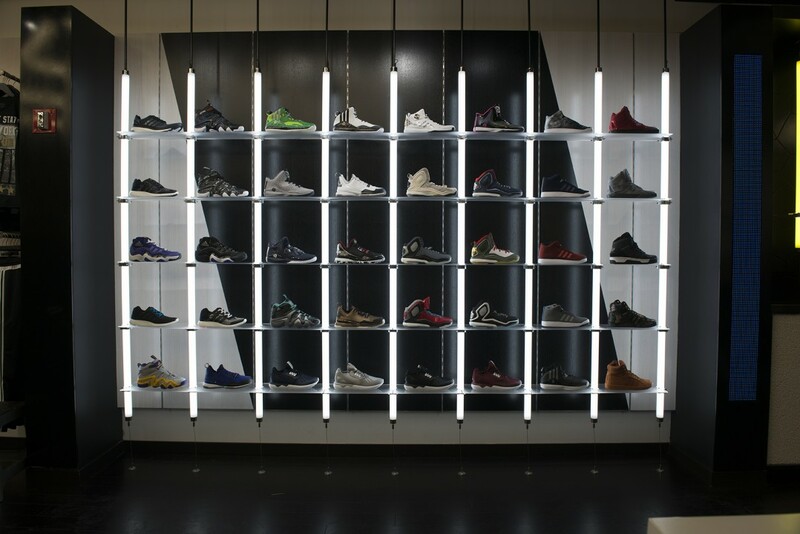 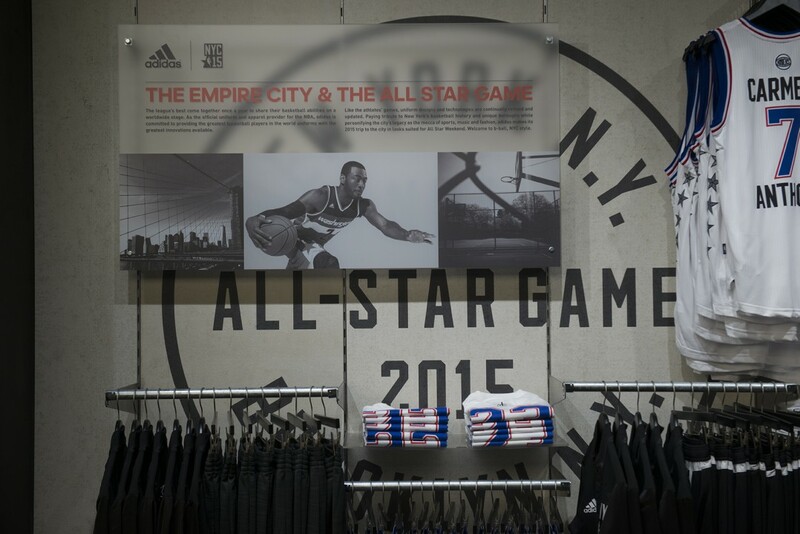 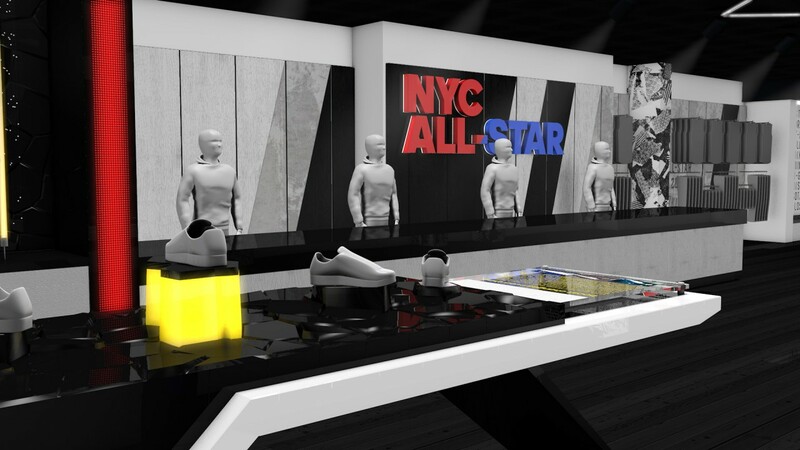 The store featured various NBA collections along with new apparel and footwear launches. 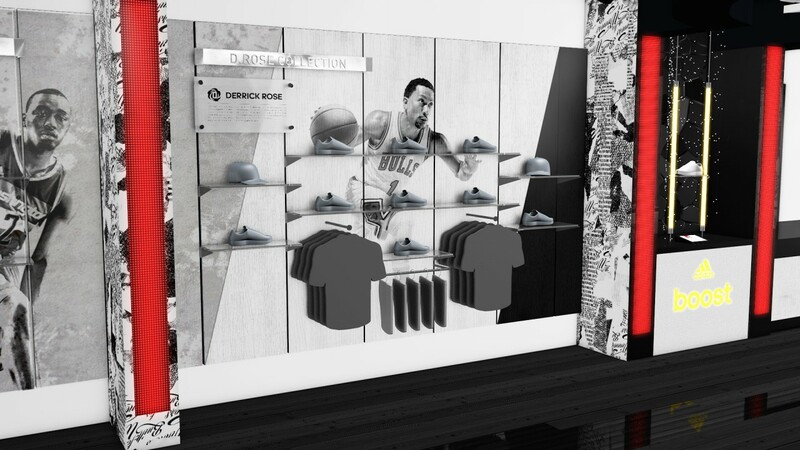 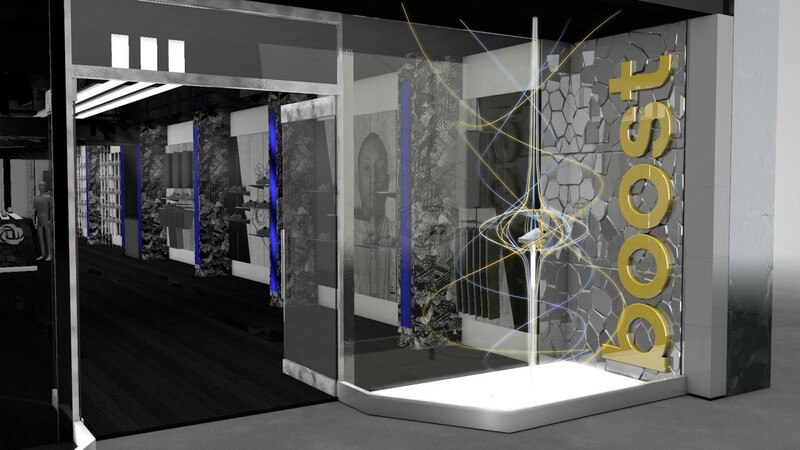 I worked closely with Roundhouse Agency and their Creative/Art Directors to develop many of the elements in the store. 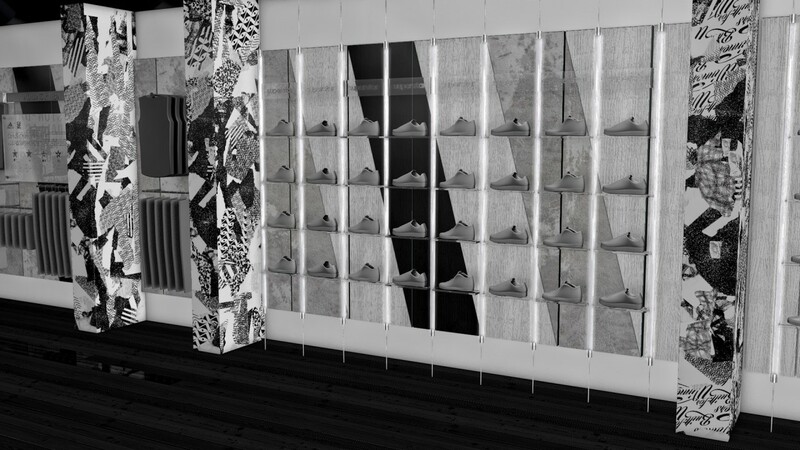 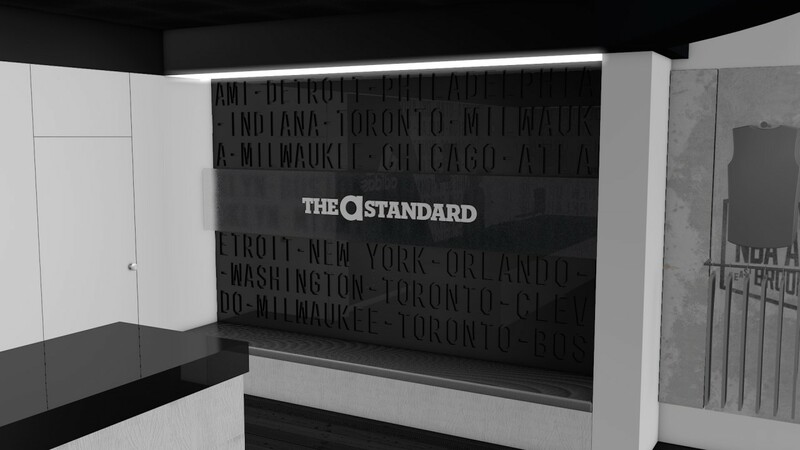 From 3D modeling the space, rendering, building production files and releasing for print, the project was all encompassing.